Sports Interactive, the developers behind the legendary Football Manager franchise, has announced its latest iteration of one of the most addictive games ever made. Football Manager 2014 touts over 1000 improvements over last year’s version, featuring a refined Classic Mode and finally, cloud saves. The streamlined Classic Mode offers a simplified and less time-consuming gameplay for those who need an FM fix but do not have as much time to completely immerse their lives in the game. FM2014 game director Miles Jacobson shared that there were close to 10% of FM2013 gamers who played the game in Classic Mode, and expects the number to grow with FM2014 with the refinements to the mode. In addition, SI even gives members of the community the tools to build their own challenges, an FM2013 feature that proved very popular among players. By adding the game to the Steam Workshop, SI allows anyone to add their own custom challenges that last either half or one full season, giving further longevity to the game. Finally, among the new improvements include an enhanced user interface, more sophisticated interaction with the board, staff, players and rival managers, as well as an improved 3D Match Engine. 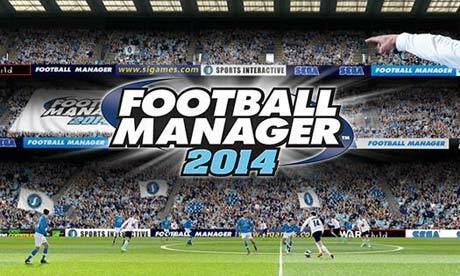 Football Manager 2014 is expected to be available by Christmas 2013 for Windows, Mac and Linux. The game is already available for pre-purchase on Steam for $49.99, and also gives access to the Beta version approximately two weeks before the game is released.